If you drive an Audi car, there are some things you should know about the car keys, including where to obtain replacement car keys for your Audi, have new ones cut or who best to call if have a problem with your car locks or keys. The Auto Locksmith, offering a mobile car locksmith service in London and the Home Counties, is the most economical choice for assistance. Not only will their vehicle locksmiths come to you, saving your time and money, they will cut and program all keys at the roadside, whether you are at home, work or indeed stuck on the roadside. More and more car manufacturers, especially the VAG group (Volkswagen, Audi, Skoda, Seat), are making their cars more secure in an attempt to help cut down car theft but the technology is also making it harder for vehicle locksmiths, who have to keep up with innovation in order to remain useful. The Auto Locksmith has a huge advantage over most other car locksmiths because it continually invests in new technology and computer software. This enables it to keep up with car manufacturer trends in terms of being able to provide a mobile car locksmith service that can solve car key and lock problems for even the most modern of vehicles. All Audi models, from M plate upwards, have been built with a factory installed immobiliser system. It is coded with a serial number that matches one coded on a microchip embedded in the car key. It’s impossible to start your car without the correct key. Some early Audi models use a separate immobiliser box that “talks” to the car’s electric control unit (ECU). Some of the later models use an immobiliser system that is combined with the ECU and dashboard clocks. Either way, each car key has a transponder chip with a unique security code that is required to program keys to an Audi car. Audi stopped giving these codes out a few years back and will not supply this information to any locksmith or even the owner of the vehicle. Given that it will take between 7 – 10 days to receive replacement keys from the main dealer, it means that getting duplicate keys or a replacement set of Audi car keys is going to be time consuming and inconvenient – especially if it involves losing the use of the car while you wait. Even when the keys arrive, it will still require a visit to the local dealer to have the keys programmed. The Auto Locksmith has to be your first call if you have any issues with Audi car keys. It offers a fast response service covering London and the Home Counties of Essex, Kent, Surrey, West Sussex, Hampshire, Berkshire and most parts of Middlesex. Our mobile car locksmiths will come to you whether at home, work or stuck on the roadside. Using specialist knowledge and software we can extract the code from your Audi and program new keys to your car then and there. We will do all the work necessary to get you back on the road in the shortest possible time, causing you little inconvenience and potentially saving you a lot of money. 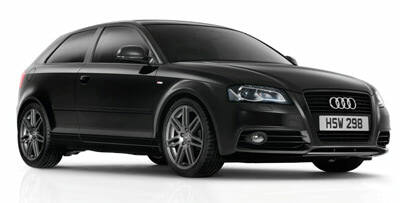 The Auto Locksmith can replace lost Audi keys or provide you with a spare key if you only have the one set. You don’t need an emergency to call! Wherever you are one of The Auto Locksmith’s mobile car locksmiths won’t be far away. Don’t waste time and money contacting the dealer, a repair garage or looking for a car locksmith when The Auto Locksmith can cut and program new Audi car keys on the spot at a fraction of the cost. Just dial The Auto Locksmith on 0800 158 3798 and wait for them to reach you. The Auto Locksmith can provide car key replacements for Audi A models 2 through to 6, the A8, S models 3 to 6 and the S8, the Audi All Road and Cabriolet, the RS4 and RS6 models, as well as the Audi TT, saving you time and money. On a very hot day, I found myself locked out of my car with my 2 year old inside the car! Stupidly I put my bag and keys on the passenger seat and the car automatically locked, after asking someone if I could use their phone I called my husband at work to break the bad news and find out what I should do, he found the auto locksmith online and they were amazing! They stopped me from smashing the window of my Audi a4 and really calmed me down, Carlo arrived quickly and got into my car within no time, he even had some sweets to calm my daughter down, I don't know what I would have done without the auto locksmith!